For 2013, Glastron, one of the oldest names in fiberglass pleasure boat building, offers thirty-three models of runabouts, closed deck, cuddies, deck boats, and cruisers from sixteen to twenty-eight feet in seven series. 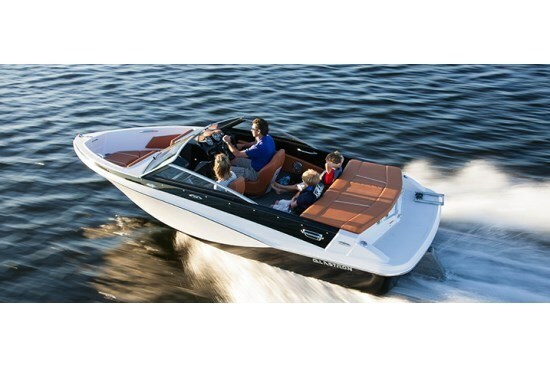 Of those thirty-three models, the GT series itself encompasses overall twenty models from sixteen to twenty-two feet of which eleven are outboard powered and nine are sterndrive powered. Of these twenty GT models, seventeen are bowriders, three are closed decks; eight belong in the upgraded GTS sub-series; and five comprise the GTSF ski and fish sub-series. 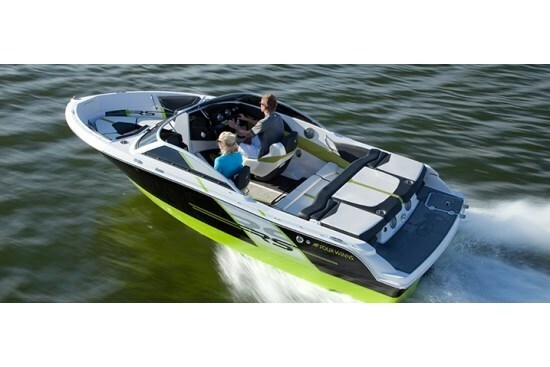 This leaves seven models, four outboard and three sterndrive, from sixteen to twenty-two feet in the base GT series. To quickly summarize, the 185 GT, subject of this review, is an eighteen foot sterndrive-powered bowrider on a 7’5” beam. Standard equipment highlights of the 185 GT include its proprietary SSV® (Super Stable Vee) deep vee hull design with a moderate 20° deadrise, a fiberglass stringer system, and fiberglass cockpit floor with built-in footrests and drains. 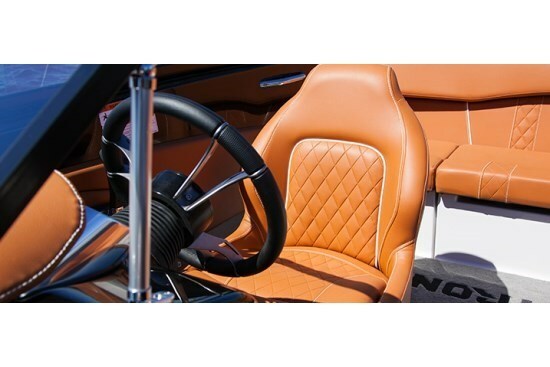 At the helm, standard highlights include a unique “roadster-inspired” windshield design, Glastron custom fog-resistant gauge package, retro-style pull switches for accessories instead of the normal rocker-type switches, and a custom top-stitched shroud over the gauge cluster. Another standard equipment highlight is the inclusion of a Glastron® custom-matched, single axle, carpeted bunk trailer with swing-away tongue, disc brakes, and integrated step pads with diamond plating. The balance of the standard features are pretty normal fare for a bowrider of this size. 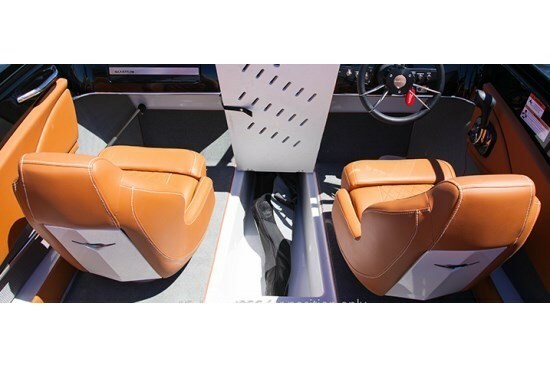 They include a full-width rear bench seat with storage beneath, full sundeck pad over the engine box, two adjustable bucket seats at the helms, and latched bow seating with storage below. 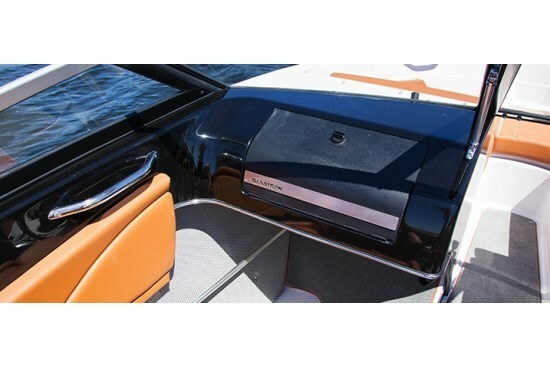 All upholstery is Glastron’s Aquaflex™ vinyl. Additional storage is found in the cockpit sides, an in-floor ski locker with hinged lid and molded fiberglass finish, and in a passenger helm lockable glove box. This glove box also houses the standard Sony® AM/FM/CD stereo with MP3 port and two cockpit speakers. An integrated swim platform with skid-resistant surface and stainless steel boarding ladder is also included. 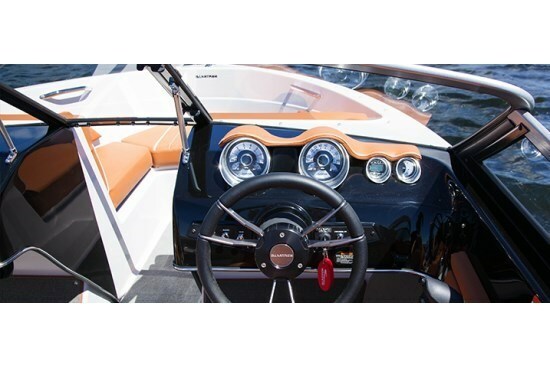 The beauty with Glastron is the many ways you can option-up and accessorize your boat to personalize it to your exact taste. First off, choose the Legacy Package which dramatically changes the interior and exterior look of your GT 185 by giving you richly textured, saddle-hued, solid-color interior upholstery, with detailed diamond stitched vinyl and contrasting white stitching, choice of Saddle or Cashmere vinyl color-scheme, unique chain-weave patterned side wall fabric, upgraded non-directional steering wheel, Legacy gel scheme, solid-color hull bottom and deck color, and swim platform mat. This Legacy Package also includes the XL and Convenience packages which include a bow scuff plate, chrome accent vent, flip-up bucket seats (2), pull-up cleats, snap-in carpet, Spear graphics, stainless steel assist handles, stainless steel beverage holders, stainless steel speaker covers, and two tone deck. Note that some of these Legacy Package options can be individually optioned if you do not want the entire package. 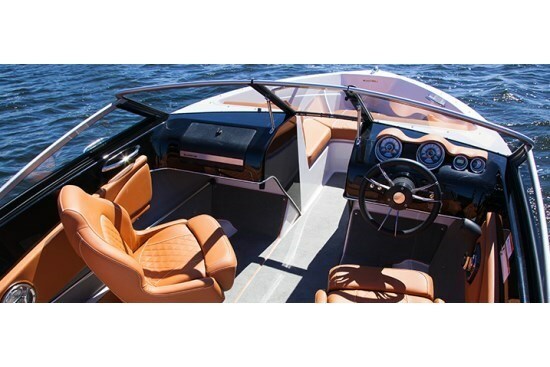 In addition, you will most likely want to choose some canvas options since there is none at all with the base boat, perhaps the bow filler cushions, an hour meter, depth sounder, tilt steering, side windshield wings, a wakeboard tower, etc. For sure you will want to choose your sterndrive power from either MerCruiser® in a 135 hp, 3-L, 4-cylinder or 220 hp, 4.3-L, V-6, both with Alpha drives, or from Volvo Penta® in a 200 or 225 hp, 4.3-L, V-6, both with SX drives. However you option up and complete your Glastron GT 185, you know you are riding in a boat brand with one of the longest and respected histories behind it.